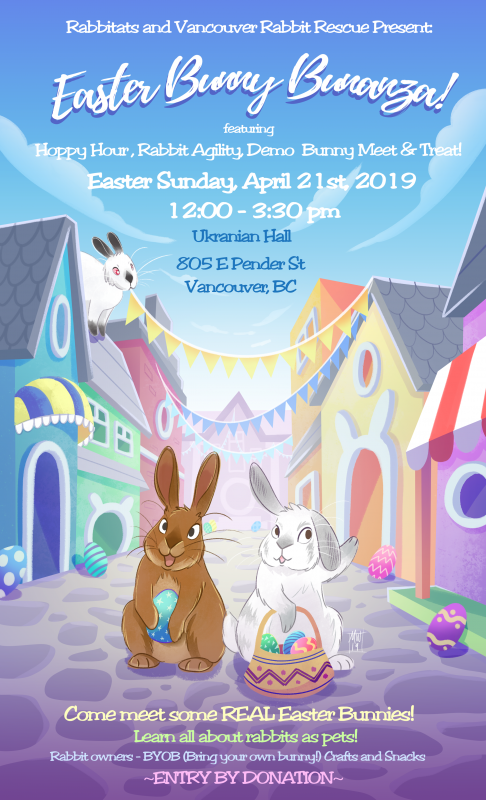 PLEASE NOTE: due to the recent outbreak of the RHD Virus, ONLY VACCINATED RABBITS are allowed to attend the Easter Bunny Bunanza. 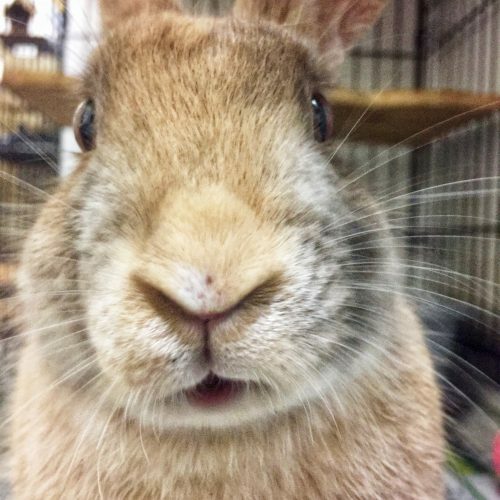 If your rabbit was vaccinated this time last year (2018) they should receive a booster shot. Contact your vet. See our info page for more information. If you would like to donate to VRRA choose one of the options in the right sidebar. You will get an immediate tax receipt from them if you choose either CHIMP (Charitable Impact) or Canada Helps. Choosing PayPal requires VRRA to process the donation and then issue a tax receipt. 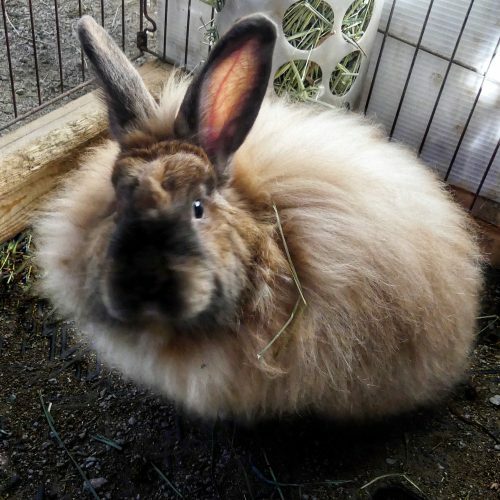 Read more about our Broken Bunny Fund by scrolling further down this page. 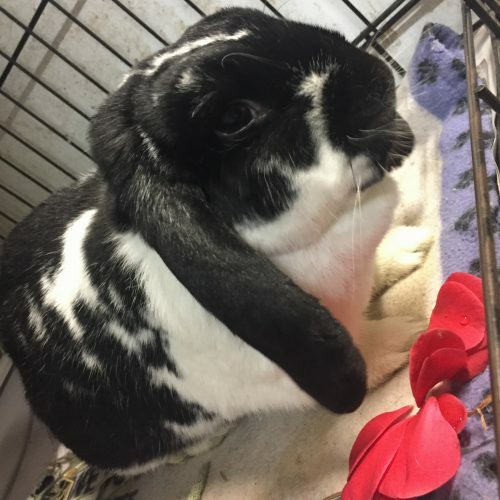 If you are interested in adopting a bunny go to the Adoption Info page, read the introductory material and then complete and submit the adoption application form. We will then contact you to set up an appointment to visit our shelter and meet the bunnies that are available for adoption. Watch this video to help with your adoption decision. Rabbits are social animals – most crave the companionship of another bunny. Rabbit pairs groom each other, sleep, eat and play together. They keep each other company when you are busy or out of the house – companions against loneliness and boredom. 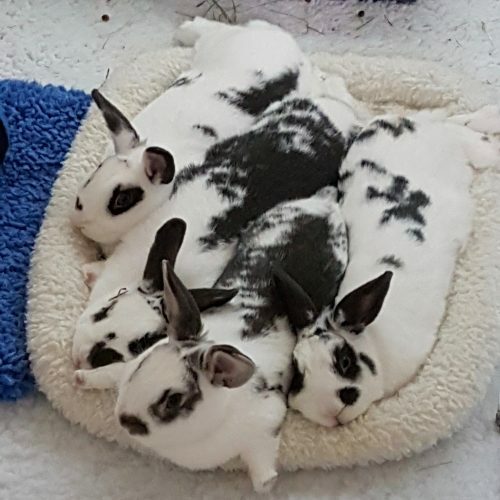 Bonded rabbits form extremely close attachments and their happy, hilarious and sweet interactions will expand your heart and life. But don’t worry that two bunnies will ignore their humans – they will give you double the love and fun of one! Adopt a friend for your single. 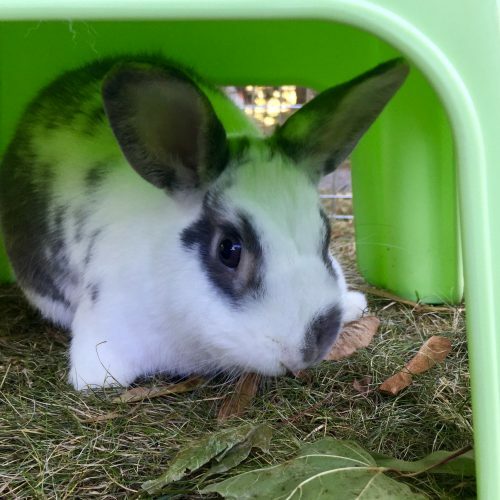 If you already have a spayed/neutered rabbit in your family, adopting a friend for them is something we can help you with. Give us a call and we can arrange a time for you and your bunny to come to our shelter for a meet-and-greet with prospective pals. Important: Rabbits are territorial and their choice of a new Best Friend may be different from yours. 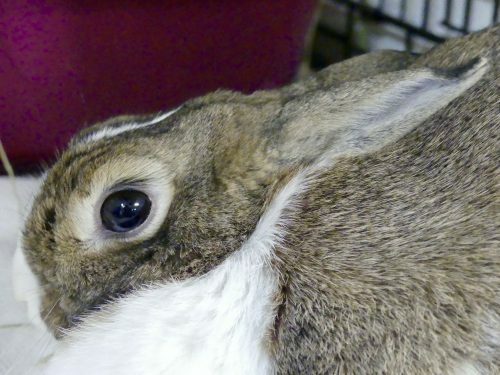 As adorable as bunnies are, they can seriously harm each other if introduced improperly. Introductions between rabbits should be done gradually and should be supervised by someone experienced with bonding bunnies (that’s us!). Adopt a bonded Pair. Adopting an already bonded pair is a great way to bypass the dating and bonding process. It’s a sweet deal: you get to take home two loving rabbits whose relationship is already sorted out and established. 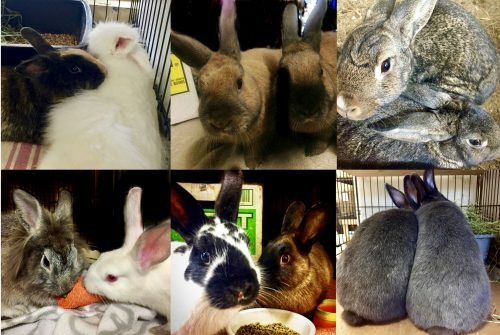 We currently have several bunny pairs ready for adoption – in the toolbar above, click on Pairs to scroll through their bios. Meet Alfie, Alma, Alan and Amos – the 4A’s. 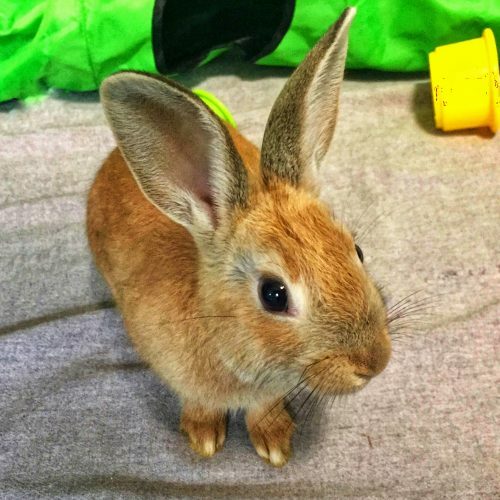 These young siblings are Special Rabbits; they lost their front feet when they were small babies. We are not certain of the circumstances but the most likely scenario is that they were kept in a wire-floor cage outdoors, and that something bit their front feet off from below. Although this tragic event has left them disabled, these wonderful rabbits do not know they are different. They are happy and quite mobile, as the video shows. Alfie and Amos get around almost without any noticeable impediment while Alan and Alma have a bit more trouble as they lost a little more of their leg. No front feet doesn’t mean no fun! All four of the A’s are doing very well. The main special care they require is that they must live with a soft rug surface that will not hurt the stumps of their legs. 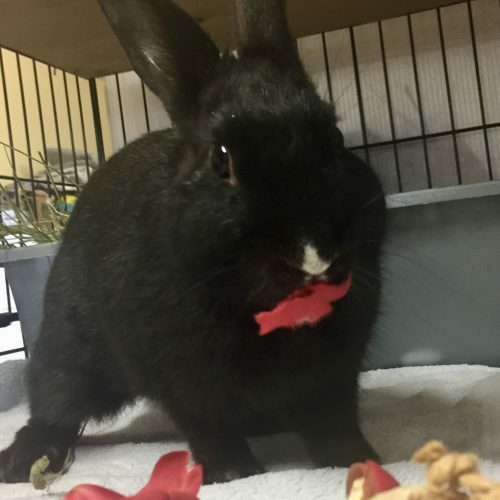 Although these lovely rabbits are eager to live full lives despite their disability, the reality is that it’s difficult to find an adoptive home willing to take on handicapped pets. VRRA is committed to providing for their lifelong care and so donations are appreciated to help us do so. We still hope to find special people willing to foster our wonderful A’s, as they deserve the attention and love that can only be found in a home environment. VRRA would continue to provide for their needs in foster care. Volunteers are the heart and soul of our organization. We especially need help in keeping our shelter clean. This mainly involves keeping their cages and outside exercise pens clean so that our bunnies enjoy happy and healthy lives. We also need people who can handle bunnies so they can be moved from their inside cages to outdoor exercise pens. Most cleaners learn to do this as well. If you would like to volunteer, find out more by completing this form.